The 32 000 kilometres of borders that divide West Africa have long been viewed as an obstacle to regional integration. Criticised for the costs and time they impose on the movement of goods and people, these borders have also often been described as an artificial barrier between local communities. In a context marked by a resurgence of trafficking and international terrorism, borders are also often perceived as threats to the stability of states. 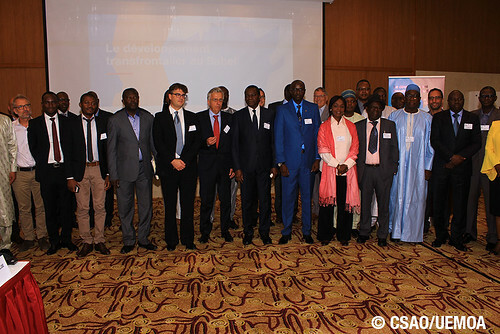 The aim of the seminar on cross-border development in the Sahel organised by the West African Economic and Monetary Union (UEMOA) and the Sahel and West Africa Club (SWAC) was to offer an alternative vision of the region's borders. Based on the Local Cross-Border Cooperation Program currently developed by the Swiss Agency for Development and Cooperation (SDC) in collaboration with UEMOA, the seminar highlighted the crucial contribution of border areas and populations to the regional integration process. Deepen understanding of institutional challenges and their impacts on cross-border development.